Choosing the right company to service your oven may easily be one of the most important decisions you will ever need to make. Residential customers in Calgary, Alberta have been turning to us for all aspects of appliance service for a very long time. At Calgary Appliance Repair, we are committed to doing what it takes to ensure complete customer service satisfaction. 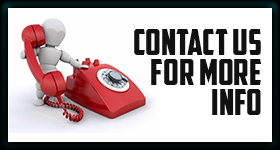 We administer extremely effective installation and repair service at rates that will cater to any budget. Our technicians will provide good old-fashioned oven service with a smile. We have been rendering impeccable oven repair in Calgary for quite some time. Our hard work and attention to detail has earned us long-term customer loyalty and created many great friendships as well. Trust is essential in the customer-service provider relationship. We have earned that trust by providing friendly service and professional results day in and day out. More and more residential customers are turning to Calgary Appliance Repair for the appliance services they need. It is important that ovens are installed as per manufacturer guidelines. 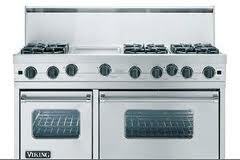 We offer precise oven installation with extreme attention to detail. No detail is too small when you are out to ensure the unit will operate at peak efficiency. Gas ovens require even more attention and our experts are trained to do the job right. Our experienced crew will administer fast and accurate built in oven installation service that guarantees your complete satisfaction. Our technicians offer awesome oven repairs the same day you call or at your convenience. We are very flexible with our service times because we want to be there when you need our service the most. Whether you need electric, microwave or gas oven repair service, we promise to provide the excellent service you need and deserve. You may need Calgary oven repair service when you least expect it. Do the right thing and choose Calgary Appliance Repair to administer the affordable solutions you need.